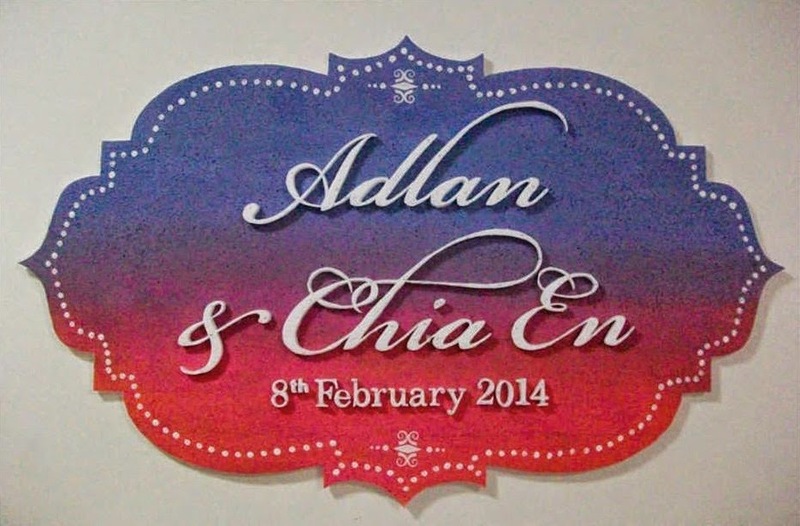 Want to put up your personalized wordings and artwork on the wedding backdrop? Wordings for the backdrop for example can be arranged in more unconventional ways using earthy color tones for a rustic or natural feel. Use 3-D letters or artwork to make the words/ graphics stand out. A tree with poms functions as decoration, wishing tree for your guests to leave their well wishes and a great backdrop for photography. Beauty and practicality - desserts spread, wedding favors displayed in planned theme. Photobooth backdrop ideas aplenty: pelamin-style, rustic, vintage. Creative thematic wedding decor and color scheme which include the photobooth backdrop, cake and arrangement of photos with the wedding monogram, soft toy, life size photo cut out. Balloons make pretty decor and props. How about photos of the old, grey, fat, and bald you! Theme is selected due to the couple's shared interest or experience. It can be as simple as a theme of a few of colors, or as extensive as a mega carnival wedding. Here's a list of things for you to be creative in the decoration, flowers and others. [DECORATION INSPIRATION BOARD]: Wedding theme, decoration ideas - Photobooth backdrop, aisle, center pieces, ceremony, dessert, reception table, where to buy props. For awesome pelamin decoration, hantaran preparation, gorgeous fresh flowers, wedding venue decorations, try De Classaflora. Their impressive creativity will take your breath away. Strategically placed living orchids are a good alternative to several floral arrangements. Yeah I am also planning my wedding decorations these days. I love beautiful flowers and so I am going to hire Floral Delivery services from online who can decorate my venue with flowers and candles only. I am sure that will gonna look graceful.